In case you haven’t already noticed, the entire world is trying to be more eco-friendly and save our planet. If you want to keep up with the world, you should consider changing some of your habits. All of the energy sources in the world are being consumed to an excessive degree, and this trend is very noticeable, especially when it comes to consumption of water. Therefore, it is our moral duty to do certain steps to improve the current situation. At first sight it may seem like a few drops of water are not such a big deal. However, it’s one of the main reasons we lose so much water. If you don’t believe this, make a small experiment and place some pot under the tap. Let’s say that pot can accommodate 2 litres of water, and that was filled by the end of the day. It means that your monthly water waste just for that particular tap is about 60 litres. To be honest, this amount is much higher if you have more than one leaking tap in your home. Can you imagine how serious it is, assuming that at least 50 percent of your neighbours have the same problem as you? Yes, it’s just the right time to call your plumber and check your taps. If they’re too old and cannot be fixed, replace them with new ones. There are so many new energy efficient ideas for your bathroom that we don’t even know where to begin. For example, have you ever heard about smart low flow faucets? You can regulate the water flow as you like, which will help cut your bill after only the first month. Entire smart plumbing systems that allow you to measure just how much water you are using are also available. You can time your showering, so that the water simply stops to flow after 5 minutes. On the other hand, for those of you who just couldn’t give up their long showers and hot baths, the solution lies in regulating the water pressure with low flow sower heads. Now you can enjoy your bathroom time with a low flow of water. One of the best energy efficient ideas of them all is the new smart toilet tanks. Every time we use the toilets, we waste a lot of water. The idea behind smart water tanks is that they are not using clean water – instead they recycle the water you have already used in your sink or shower. Every time you wash your hands or have a bath you’re doing it with clean water, and this water is then recycled for the toilet. You can integrate at least one of these innovative solutions into your bathroom. Do whatever you can to improve your knowledge of this matter. Did you know that washing on lower temperatures requires less water? Not only is it better for your clothes, but it’s also another ‘green’ tip. You won’t even feel the difference and you’ll be doing a great favour to your environment. When it comes to plumbing, for every re-modelling intervention it is always better to contact professionals than doing it yourself. If you still decide to try doing it on your own, first find contact of nearest emergency plumbing service who can offer you professional advice and service if something goes wrong. Hopefully, some new plumbing technologies will bring big changes in the future. Do yourself and your planet a favour and try out some of the energy efficient solutions that will help you save some money and the environment. Melissa Stevens is experienced blogger, interested in eco-friendly topics. 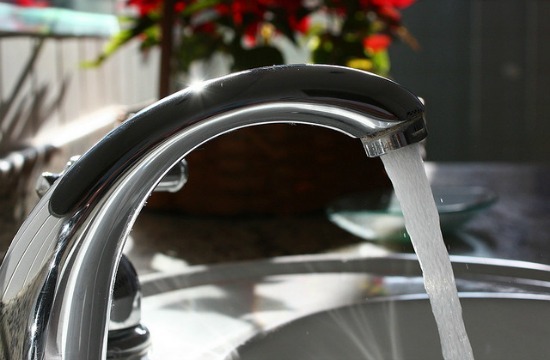 Marrickville plumbing services also contributed to this article with information about how to improve home plumbing systems.